We often get asked how to cleanse crystals and minerals. 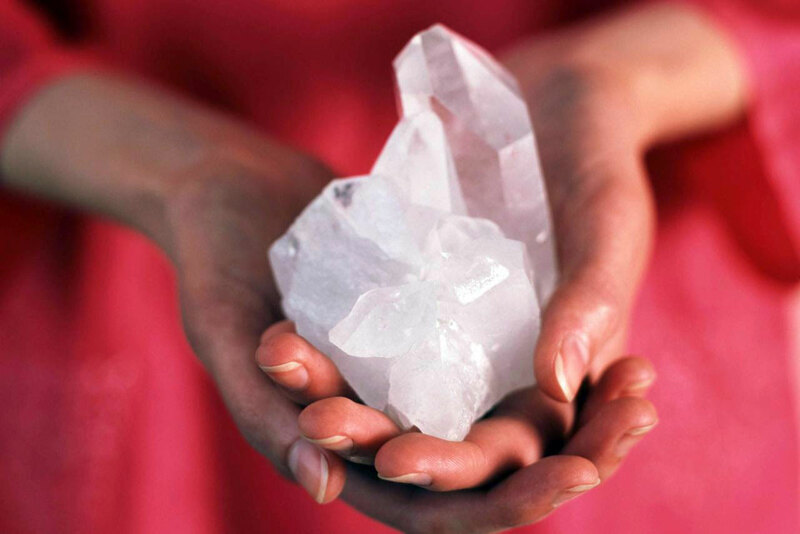 We are talking energetic cleansing here, as in removal of negativity rather than physically cleaning a rock. There are a lot of different ways a crystal can be cleansed and the option you choose needs to be suitable for the piece that you have. Some crystals and minerals for example, hate water. Selenite, a type of gypsum will actually dissolve if left in water so please NEVER use water to clean Selenite. Do your homework about the piece that you have to avoid possible damage- if you’re unsure play on the safe side. If you are using water in your cleansing it is best to never use water that is very hot, warm or very cold- some crystals will actually crack from the shock of sudden temperature changes. Room temperature is usually best. A very popular method! The full moon is said to naturally recharge crystals when they are left outside overnight to soak up its rays. If the crystals are left on the Earth, in the garden etc, the earth itself is said to naturally cleanse the crystals/minerals of negativity. Rock salt from the supermarket will do just fine. Said to naturally remove negativity. Simply cover your crystal in rock salt, (for smaller stones you can fill a cereal bowl or teacup) and leave for 10-20mins. Throw out the salt when you are finished and rinse off your crystal with room temperature water to remove any residue. If you live near the ocean, immersing a crystal in ocean water is a great cleanse (ensure your crystal or mineral will tolerate this by doing your own research.. once again, no selenite in water). If you don’t have a handy ocean nearby you can put some rock salt from the supermarket in a container of water and leave the crystal submerged for 10-20 mins. Rinse the crystal off in room temperature water once you’re done and dispose of the salt and water. One non-invasive way to cleanse crystals and minerals- as well as just clear energy in general is using sound. This might be a Tibetan Singing Bowl, Crystal Singing Bowl, Crystal Singing Pyramid, Tingshas or Bells. Whichever tool you have, a gentle way to cleanse is simply playing this instrument above or around the crystals that you have. This is very much an intuitive practice and your instincts should be followed as to how long you play for. Amethyst is known to be a crystal that actually cleanses other crystals. A handy one to have around the house. To use this method you would need a decent sized cluster or amethyst cave. You can pop other (smaller and lighter) crystals or pieces of jewellery on top of your cluster or inside your cave and leave overnight. Use your own judgement here, don’t overload your amethyst and be conscious of the weight of crystals being cleansed.